Without immediate intervention, there is expected to 1 tonne of plastic for every 3 tonnes of fish in the ocean in fewer than 10 years. With oil prices at an all-time low, coupled with growing population levels and economic prosperity, plastic production and consumption are predicted to double over the coming decade. 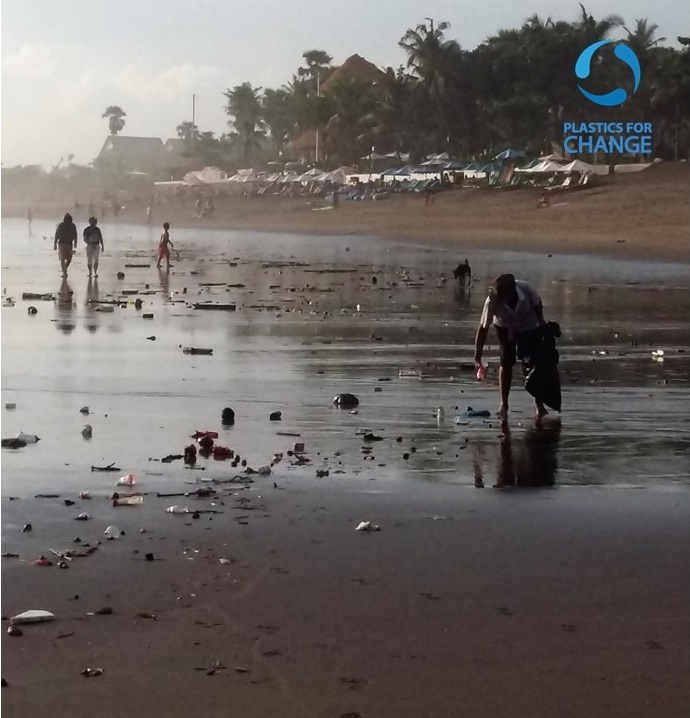 The report provides a comprehensive analysis of the root causes of ocean plastic leakage and strategies for dramatically reducing the problem in the next ten years. This finding were summarized in 9 APEC policy and practice recommendation. One of the recommendations is to support programs for the social and economic inclusion of waste pickers, since this informal sector is responsible for 80-90% of the recycling activities in developing countries. Another key part of the equation is to increase the demand for waste plastic by creating incentives for brands and manufacturers to use recycled plastic not virgin plastic. Plastics for Change was invited to speak about the research with world leaders at the APEC global summit in Tokyo. You can find the full report here. Please share on social media. Newer PostWhy are plastic recycling rates so low?